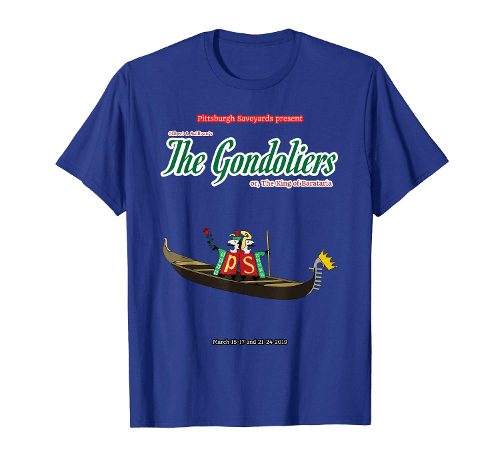 Now you can purchase your very own 2019 Gondoliers show shirt on Amazon, as worn by our cast, crew, and orchestra! We also have a range of other apparel which you can check out by viewing our entire catalog here! This entry was posted in Gondoliers, Merchandise. Bookmark the permalink.